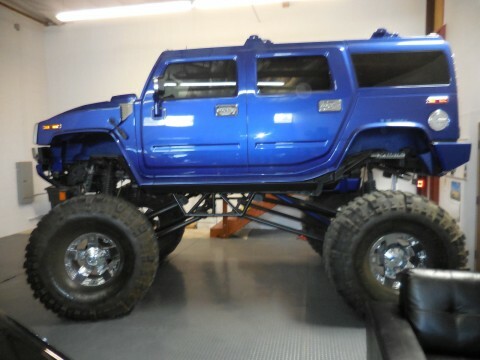 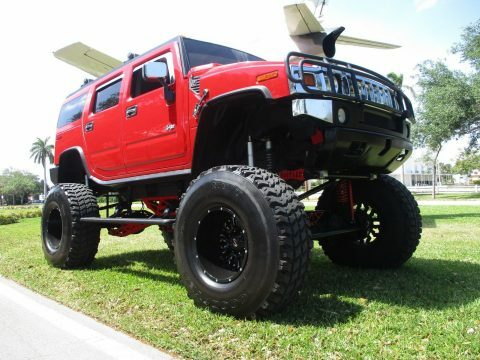 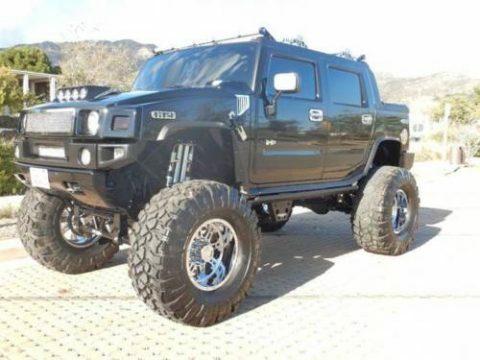 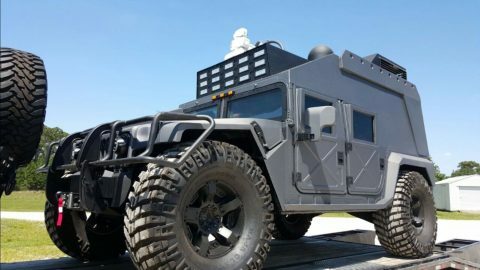 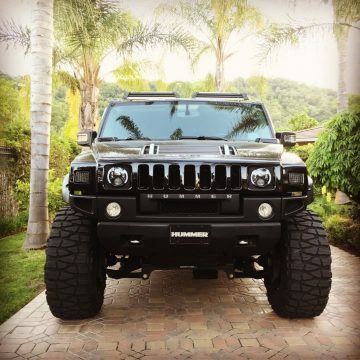 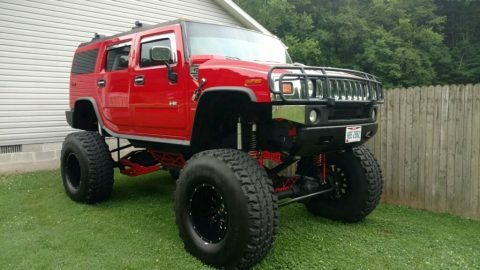 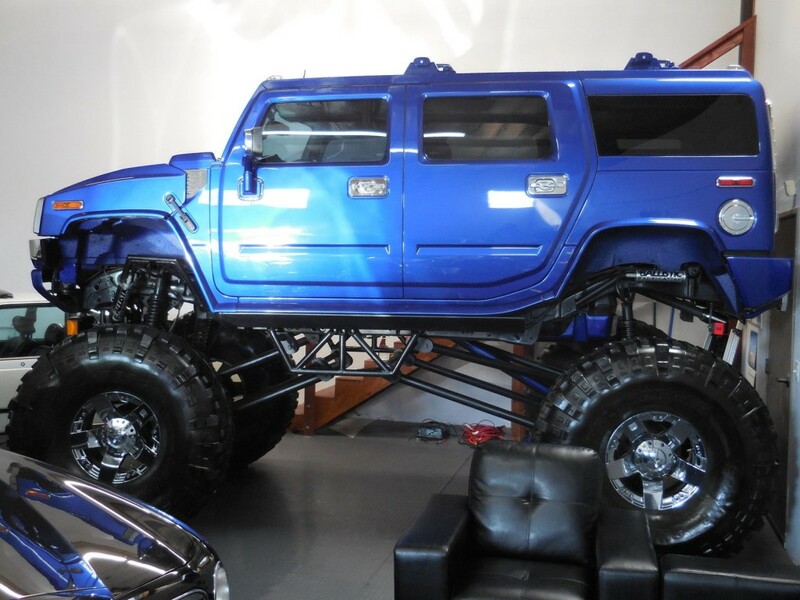 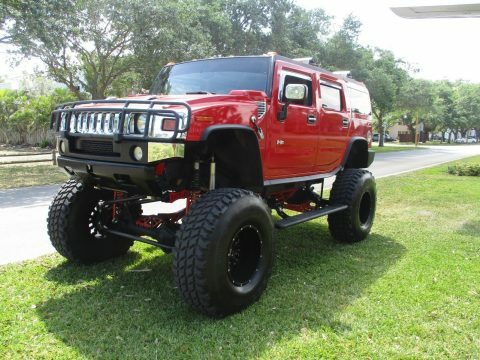 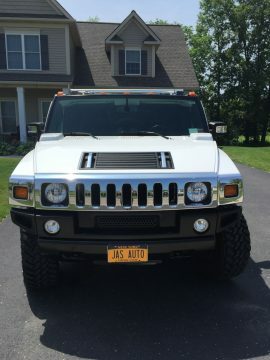 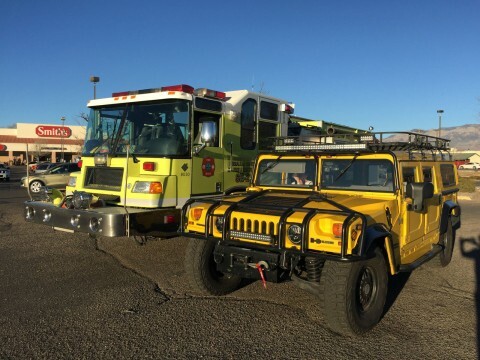 This Hummer is a professionally altered vehicle for the serious truck enthusiast. 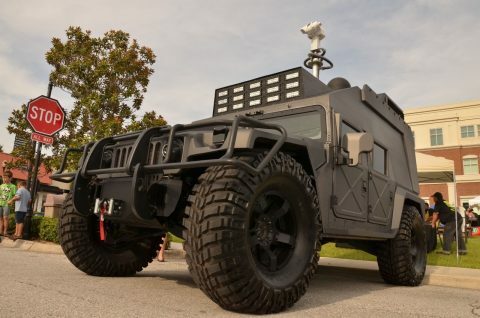 The front and rear link is all designed out of DOM tubing, and also features coil-over mounts. 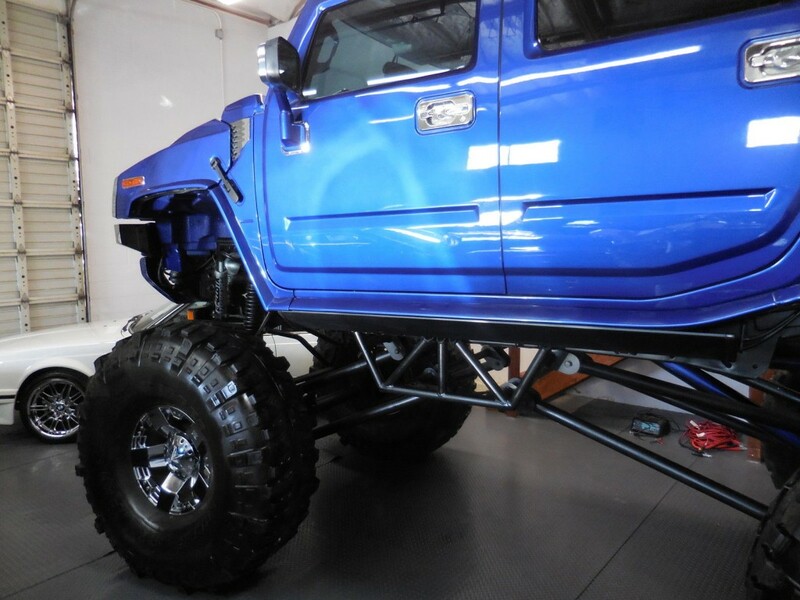 The lift is full custom Ballistic fab 3.0 coil-overs, which fully adjust the height by 18″. 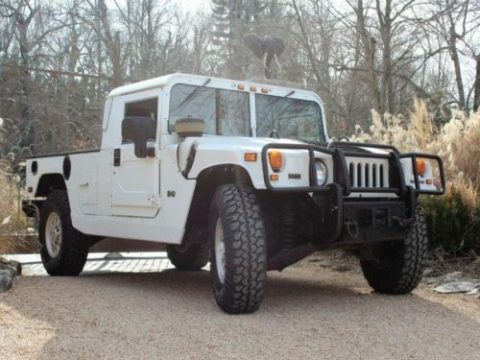 It features an F350 DANA 60 front axle and steering 10.25 rear, and both include ORU polished differential covers. 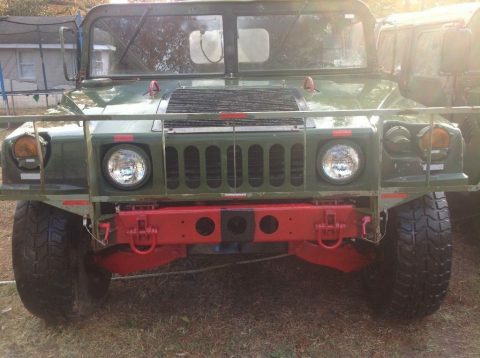 ICON crossover steering knuckle, track bar, steering center link, sway bar end links are all fitted with HEIM joints. 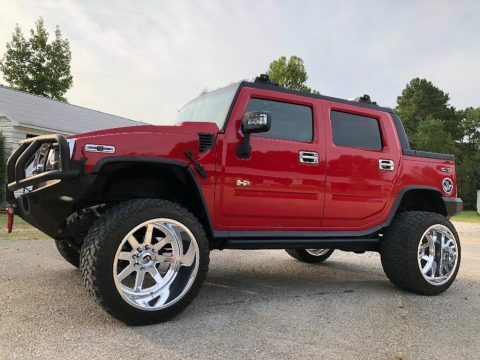 Ballistic Fab hydraulic assist steering easily turns the 54″ TSL Bogger Swamper Tires, which wrap 20×12 Chrome KMC Rockstars. 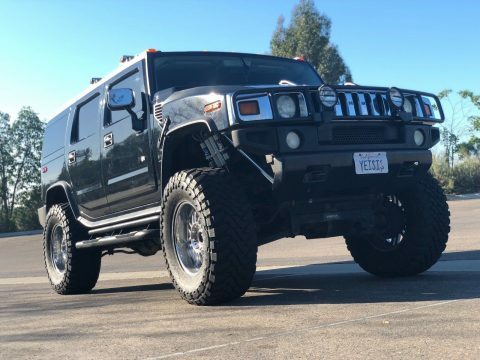 The Stainless Steel Braided Brake lines front and rear, along with the extended one piece rear driveshaft complete the build.